Some developments are walking distance to shops or near town centres. The size of the property is generally smaller and easier to manage and keep clean. Most retirement apartment schemes have a resident warden or a 24-hour emergency care line. The schemes have added security and safety features. There is a sense of companionship and community with like-minded people. You are able to retain an independent lifestyle whilst having access to community facilities. Those buying a new home on a retirement development need to be especially careful. Whilst this type of development can have advantages such as security, companionship and special facilities, they come with several big disadvantages. AgeUK's - "Buying a Retirement Home" fact sheet. Retirement apartments generally have smaller floor areas but are at a higher price than a similar apartment. Whilst you would expect to pay a little more for the additional facilities such as the resident’s lounge, the price per square foot (click) for a 2 bedroom retirement apartment can be as much as 41% more than a normal new 2 bedroom flat. It is very unusual for retirement apartment to have a window in the bathroom. 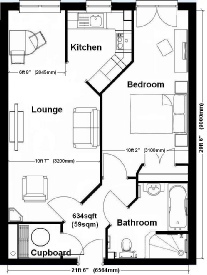 On some developments, there could be apartments that do not even have a window in the kitchen! Other windows can be small in rooms that are narrow and dark. Be wary of taking the part-exchange deal offered by the developer. You should always talk to a family member and take legal advice before committing. It may be the easier way to move, but you could be much better off financially by selling your existing home yourself. Wise precautions if considering a part-exchange deal. Most retirement developments have restrictions in the lease on keeping certain pets, especially cats and dogs. If you have a pet you must ask about this. Those buying a new home on a retirement development need to be especially careful. Whilst this type of development can have advantages such as security, companionship and special facilities, they come with one big disadvantage – ultra high management fees. These can be as high as £3,000 a year in a Retirement Villages scheme and make a big dent in a pensioner’s income and savings. For example: one new retirement block in Bournemouth, the service charge was a huge £6,800 for a one-bedroom flat and a massive £8,909 for a two-bedroom flat - each and every year! There are currently cases in the news where the elderly owners are being exploited by managing agents and leaseholders, charging residents for everything they can think of including ground rents that are twice the normal rate and rental fees for warden’s accommodation. One company is the giant Peveral Property Group, which has come under particular criticism for the amount of fees charged to residents in the properties that they manage. Peveral together with Fairhold are part of the Consensus Business Group, a private company and the largest owners and managers of retirement leasehold properties in the UK. 1. Cirrus Careline, the provider of emergency alarm call services. 2. Kingsborough Insurance, the Broker that arranges all the buildings cover. 3. BNS Telecoms provide the office phone service and the dedicated Careline link. 4. 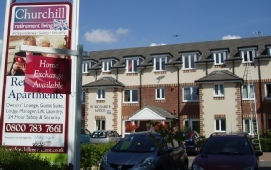 Retirement Homesearch, an estate agency specialising in selling retirement flats. Because retirement homes are nearly always sold as leasehold, they can have particularly restrictive covenants – especially so if you need to sell after moving into a care home. Generally, the high service charges make these unattractive to subsequent purchasers and many are now being sold at give away prices by relatives after the owner has either moved permanently into a care home or has died. These specialist homes are only suitable for the over-60’s retired population. Those looking to buy may be more tempted to buy a new home to take advantage of any builder’s deals like part-exchange. This means that the average retirement home takes 234 days to dispose of, compared to 148 days for the average residential property. Some flats have taken as long as FIVE YEARS to sell, even at knockdown prices. During the selling period, the hefty management fees still need to be paid – the same high charges that may be putting off buyers! Often there are drastic falls in value, which have no connection at all to the local property market. An example is Risingholme Court, a 47-flat scheme built by McCarthy and Stone in 2007. Here a flat that sold when new for £225,688 on 29 April 2008, sold for just £61,300 on 25 November 2015 - a LOSS of £164,185 in just seven years! The final insult is that nearly all retirement developments charge an exit or "transfer" fee normally around 1% (but can be as high as 10%) when the property is finally sold. Those selling may even be required to bring the flat back to 'as new' condition before selling. 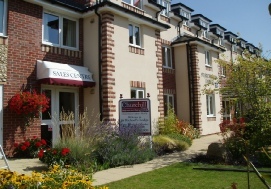 All management charges and fees can be disputed at a Leasehold Valuation Tribunal. However it is also possible to remove the managing agent using a five-month process and no reasons need to be given! The Right To Manage Federation www.rtmf.org.uk has details of how to do this. The Right To Manage process requires a majority vote from the leaseholders. The Campaign Against Retirement Leasehold Exploitation (CARLEX) was set up to help those being exploited by exorbitant management charges and onerous conditions to take control. It is believed there are around 12.5 million people over 65 in the UK, many living on a retirement development. 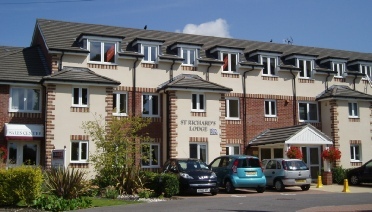 Carlex later became Better Retirement Living their website is full of stories and information on managing agents, charges and action taken by leaseholder’s groups. Another source of information is the Leasehold knowledge Partnership which "exists to protect ordinary leaseholders from being fleeced by landlords and their agents." The Leasehold Advisory Service offers free advice on all leasehold matters. Finally remember that specialised retirement developments, especially those for the over 60’s tend to have less parking spaces available and very rarely have garages. The most well-known providers of new retirement living are Pegasus Homes, Churchill Retirement Living and Retirement Villages. For more information on management charges - leasehold properties - part-exchanging and advice on buying a flat click on the links. "this was the best move I have ever made" it may not be quite so good when it is time to sell! "When my mother died, my father insisted on moving into a retirement property. We tried to talk him out of it but he was adamant. He sold our wonderful family home in Wiltshire where he had lived as a boy and had spent 70 years, and bought a one-bedroom apartment for £165,000. When he died ten years later, we sold it for £80,000. 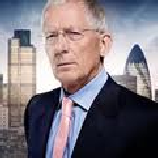 He was the only person in the Western world to half his property investment over ten 'property-boom' years."